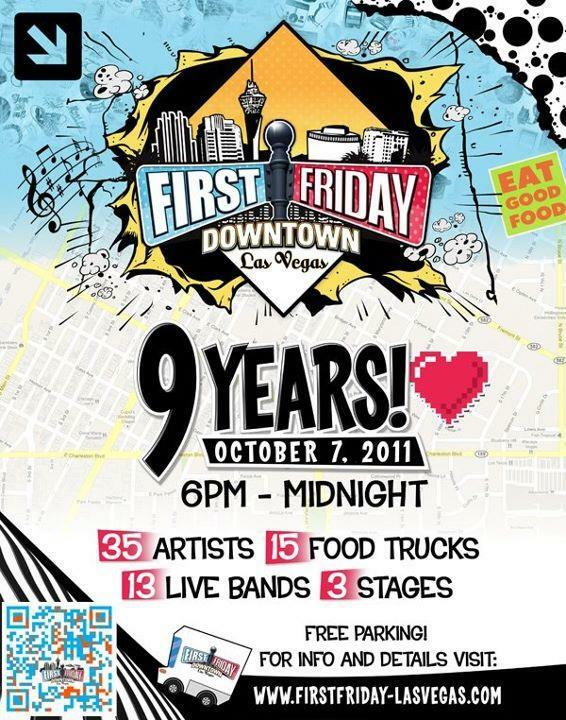 It’s the 9th anniversary of First Friday. 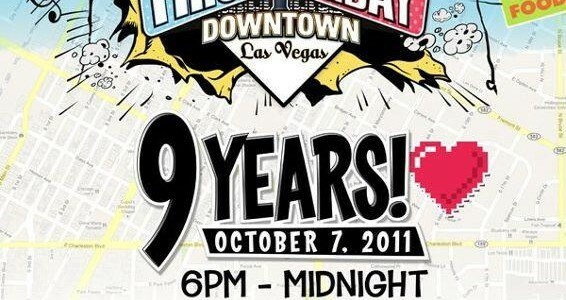 With new leadership, the monthly flagship event of Downtown Las Vegas is expanded to include the Fremont East Entertainment District, as well as the traditional 18B Arts District. Besides the expanded area into all of Downtown Las Vegas, there’s also expanded parking, expanded shuttle service, expanded food service, music stages, and much much more. The “2 month hiatus”, though nerve-wracking at first gave everyone he breathing room to rethink what could be possible. 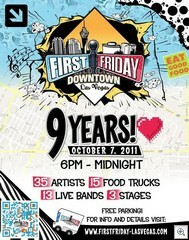 Tomorrow night should be one of the most exciting First Fridays ever. It looks like everyone is co-operating. Maybe even the weather will do it’s part. For all of the information – visit the newly re-designed First Friday Website.